HENDERSONVILLE, Tenn.--Tennessee's top state economic development official said Thursday his department will issue a report to Gov. Bill Haslam in October recommending the elimination of "unnecessarily" burdensome health, safety and environmental business regulations. Meanwhile, Economic and Community Development Commissioner Bill Hagerty has yet to issue the department's plan on how it will standardize incentives the state offers to businesses. The incentives proposal was announced in March as Republican Haslam and Hagerty announced plans to depart from former Democratic Gov. Phil Bredesen's approach, which focused on huge mega-deals that resulted in Volkswagen, Amazon and Wacker Chemical agreeing to locate plants or warehouses in Southeast Tennessee. Hagerty made the announcement about regulatory reforms to industry, development, banking and health care executives attending a roundtable with Haslam at the Bluegrass Yacht & Country Club in a bedroom community of Nashville. He said the review and changes are necessary as part of Haslam's orders "to improve the overall climate in our state to make it the best business climate of any state in the union." The department already has surveyed a number of businesses and the results are undergoing a cost-benefit analysis, he said. "What we're going to find, I'm sure, is there are a number of regulations that are either redundant, outdated or the cost of undertaking the regulatory process doesn't meet the objective," Hagerty said. "It doesn't survive the cost-benefit analysis." Speaking later at the roundtable, Haslam emphasized to the business leaders that "I want to be real clear. We obviously have a stewardship responsibility in terms of issues around safety and health and long-term issues around the environment. "But," the governor added, "we also want to make certain that what we're doing is not tying you up in a way that unnecessarily prevents you from creating jobs." 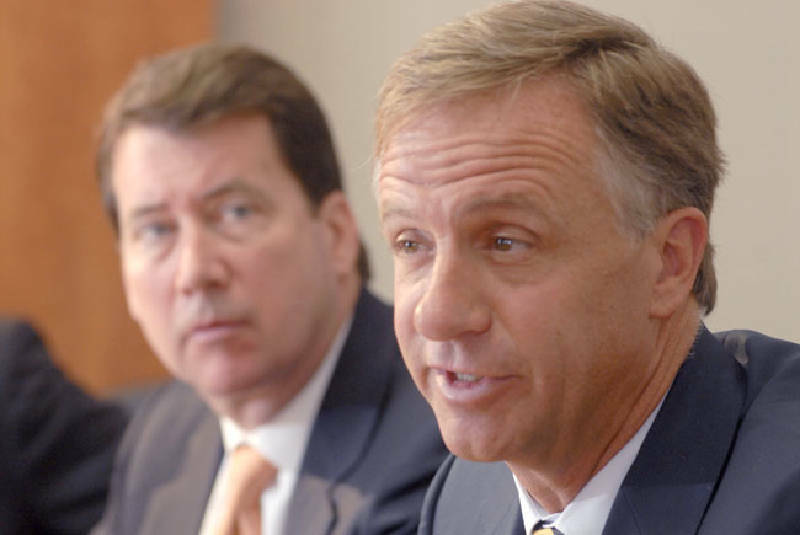 In March, Haslam and Hagerty announced plans to create a "matrix" to determine what levels of incentives the state would offer to companies. Hagerty said the administration is "close" to finalizing its standardized approach, but that "it is a complex matrix, as the governor said, because it takes into account all the factors involved." The announcement of the "matrix" came after Republicans in the General Assembly began questioning deals Bredesen cut with Amazon, which is building distribution centers in Chattanooga and near Cleveland, as well as with Electrolux, an appliance manufacturer that received about $97 million in incentives. A controversy has arisen over the deal that Bredesen cut with Amazon, which says the Internet retailer doesn't have to collect sales tax on items it ships from the Tennessee centers. Haslam has said he wants to honor that deal. "It's hard to go back and look at other people's deals," Haslam said Thursday. But after sharp criticism, the governor has revealed his administration continues to speak with Amazon about collecting sales taxes at some point in the future. Some local legislators say they would support that only if Amazon agrees to such a deal. On Thursday, Haslam told reporters the issue on business deals cut by the state is determining "what's a good return on investment" for future economic development deals. "It's the dollars they invest," he said. "It's the number of jobs. It's the average wage of those jobs. And there are some other factors" such as a county struggling with high unemployment.